The search for missing 3 year old BreeAnn Rodriguez has come to a sad but not unexpected conclusion. Senath Police Chief Omar Karnes has confirmed that authorities have located the body of BreeAnn Rodriguez. She has been missing since Saturday, August 6, 2011 when she disappeared while riding her pink bicycle out side of her home in Senath, MO. Karnes said he could confirm that the girl’s body had been found, however, he could not elaborate on details at this time. Further details are expected to be released from the Dunklin County Sheriff’s Department. Since the three year old’s disappearance, police have arrested 43 year old neighbor Shawn Morgan and charged with first degree murder. The dirt bag Shawn Morgan admitted to using a plastic bag to strangle the precious 3 year old girl. What a sick, sick SOB. So he admits abducting her, taking Breeann to his home and killing her. Some how I think he might have left out some of the other crimes he committed against this little girl. However, now that they found her body, we shall see if the charges against this POS are amended. According to the affidavit, on Friday, Aug. 12, authorities conducted an interview with Shawn Morgan, 43, of Senath, who stated on the day the child went missing, he discovered her standing on the ladder at the pool in his backyard. Morgan said he went to the girl, grabbed her, and carried her inside his house, where he used a white plastic trash bag to suffocate her, by holding it over her face and mouth. The affidavit continues, adding Morgan then stated he placed the child’s body in the same trash bag, drove to the floodway ditches at Highway 164, and disposed of her by throwing her over the railing. Morgan added that upon returning to his residence, he dismantled the bicycle that Rodriguez had been riding, and disposed of it in the same river system. 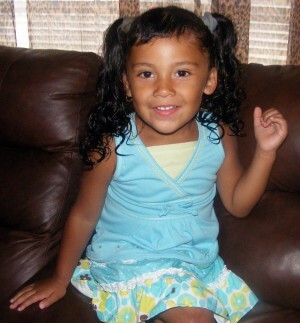 Three year old Breeann Rodriguez has been missing since Saturday, August 6, 2011; however, there has been a break in the case. According to Dunklin County police they have arrested a suspect in the little three year old’s disappearance.The unnamed suspect is from Senath; however, is not related to the family. He is being held Dunklin County Justice Center pending formal charges. Police in Dunklin County have a suspect in custody in the case of missing 3-year-old Breeann Rodriguez, and are set to hold a press conference at Noon in Kennett. Police say the suspect is from the Senath or surrounding area and is not related to the family. The suspect is being held at the Dunklin County Justice Center pending formal charges. There is no more information on the identity of the suspect available. The man’s name is being withheld pending formal charges. 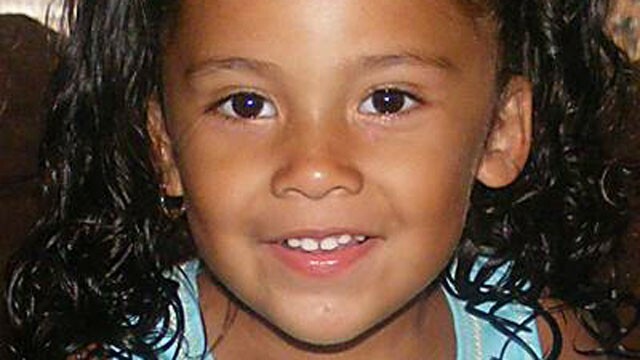 Police say even though a suspect is in custody, Breeann is still missing. The Dunklin County Major Case Squad, Missouri State Highway Patrol, and the Missouri Department of Conservation are currently searching for the girl’s body and her bicycle in an undisclosed area in Dunklin County. 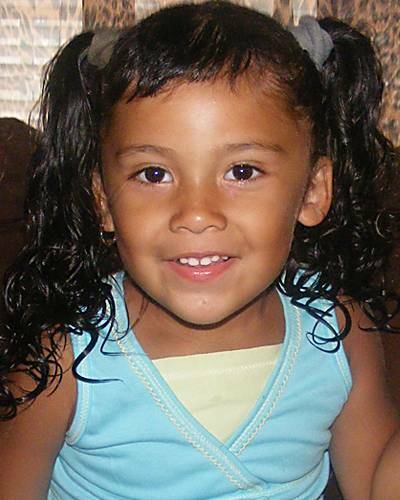 Breeann Rodriguez was last seen August 6, 2011 riding her pink bicycle in front of her home in nearby Senath. On Thursday of this week, two small bicycle training wheels were found in an area of “heavy brush” located approximately two miles away from Breeann’s home. The FBI said may have come from the Breeann’s bicycle. According to authorities, they are searching for the girl’s body and her bicycle in an undisclosed area in Dunklin County. One has to wonder whether the police have been provided information from the suspect as to the whereabouts of Breeann’s body in lieu of a lesser charge for his cooperation? Dunklin County Prosecutor’s Office said that they would not comment further and will release more information after the suspect is formally charged. UPDATE I: 43 year old neighbor Shawn Morgan Arrested and charged with first degree murder. Shawn Morgan, 43, of Ode Johnson Street in Senath, Mo., faces charges of first-degree murder, armed criminal action and tampering with physical evidence. Authorities said they believe Morgan suffocated Breeann, although as of Saturday evening, they were still searching for her body and her bicycle in an undisclosed part of the county. For updates, discussion and to provide your own comments, go to Scared Monkeys Missing Persons Forum: Breeann Rodriguez.